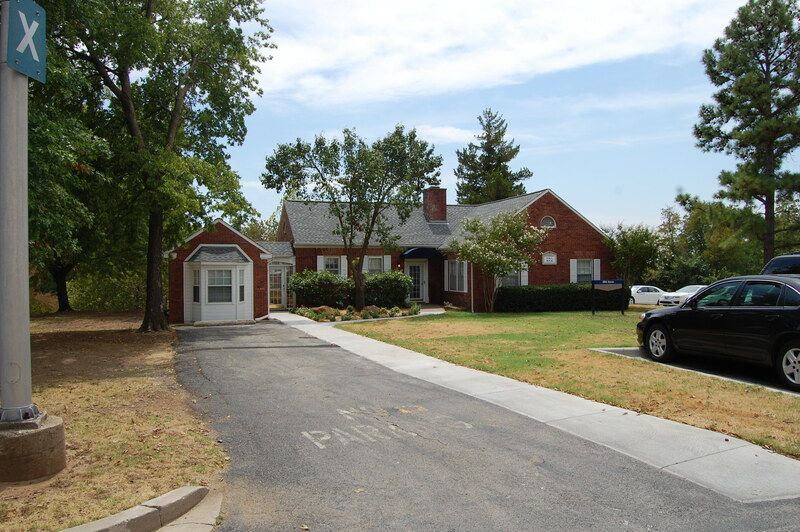 The OMA Encampment facility is comprised completely of WPA structures, specifically two barracks buildings, one mess hall facility, and one officers quarters. The barracks buildings are identical in dimensions and style. Rectangular (125′ x 20′) is size, they are single story and constructed of uncut and uncoursed native stone laid in a random rubble pattern. The roof is gabled. 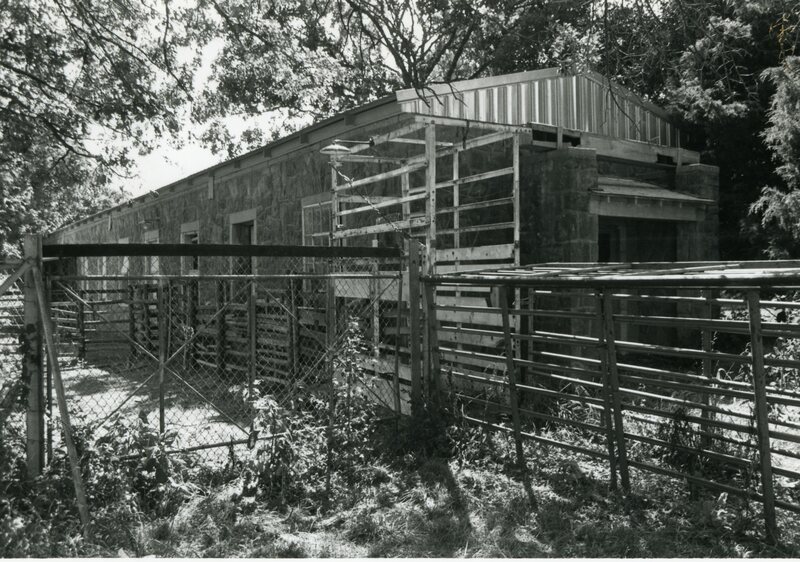 Entries at either end of the buildings are single door, have concrete lintels, and are framed by side walls that are capped by pre-formed concrete blocks. The ten window openings on either side of the barracks are singly placed and have pre-formed concrete sills, lintels, and jambs. Where they remain functional, the windows are double hung wood sash. Most panes have been replaced with plywood. The barracks rest on either end of a horizontal axis. Central and vertical to the axis is the mess hall building. 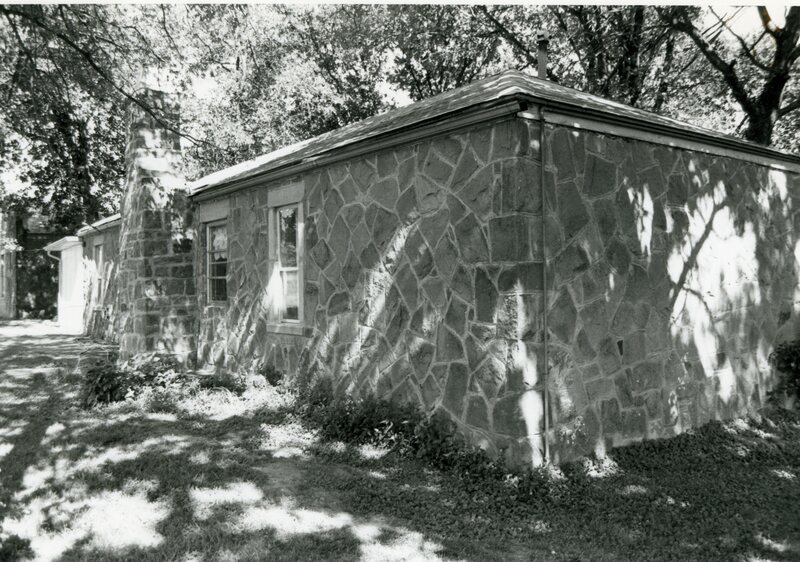 This structure is rectangular (90′ x 60′) and also constructed of uncut and uncoursed native stone laid in a random rubble pattern. The masonry is excellent. The roof has stepped gables capped with concrete blocks. The front entry on the south is double door and accessed through a massive porch of stone rails and piers supporting a poured concrete roof topped with additional stone work. The window openings have metal encased panes and pre-formed concrete sills, lintels, and jambs. A new roof with steel supports and a garage door cut into the east wall alter but do not totally impeach the architectural integrity of the structure. 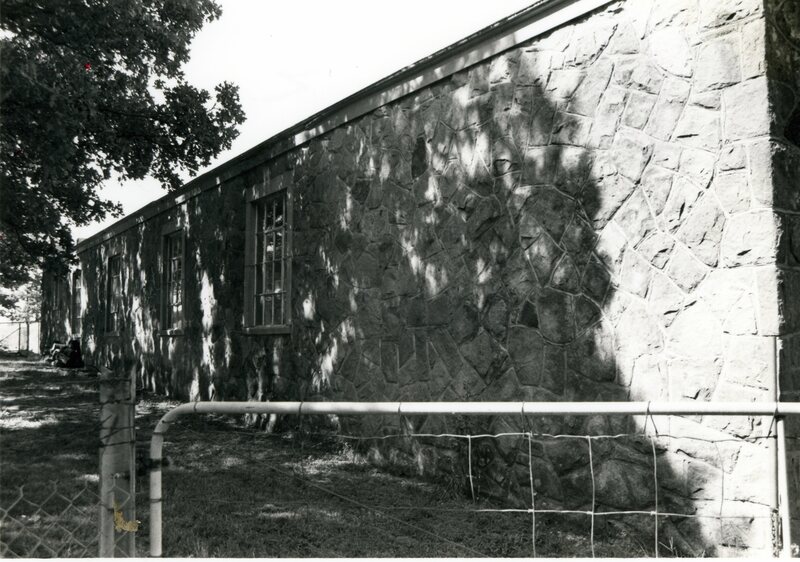 West of the Mess Hall and just north of the west barracks is the Officer quarters building. It too is rectangular (18′ x 49′) and constructed of uncut and uncoursed native stone with excellent masonry. The roof is hipped, and windows have pre-formed concrete sills, lintels and jambs. An original “dog trot” separating two distinct quarters has been enclosed with rock wall and chimney on the north and a double door entryway on the south. Over the latter a alumnium rain awning supported by poles has been placed. 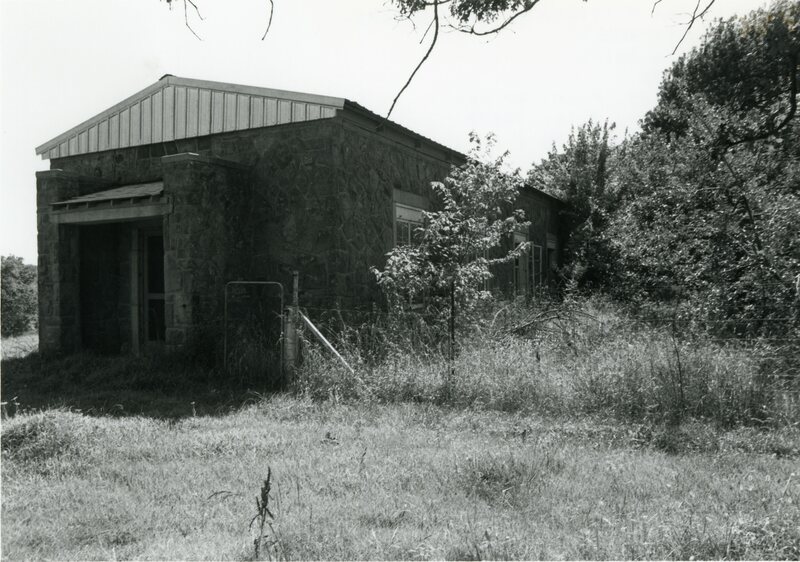 The integrity of this structure has been impaired, but since it is a part of a larger facility it deserves to be considered for the National Register as well. The significance of the OMA Encampment facility lies in its history as much as its vernacular architecture and economic significance. 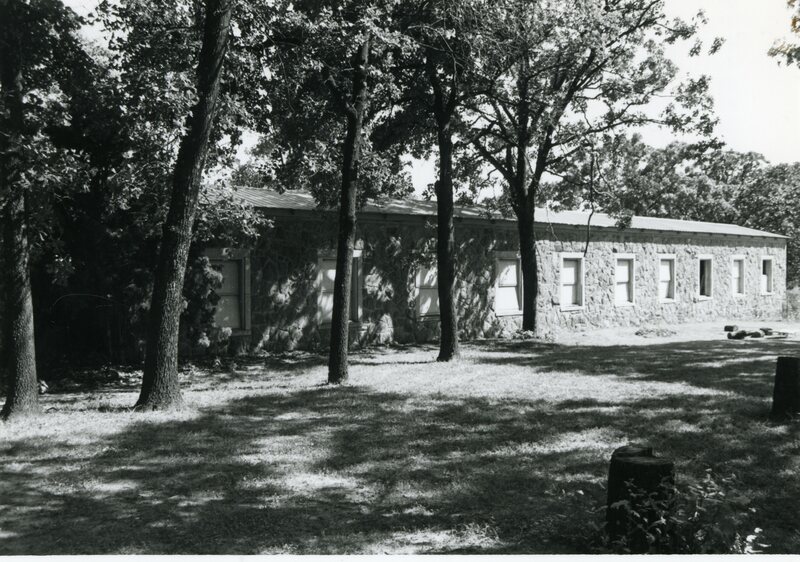 Situated just south of Claremore, the site of the main campus of Oklahoma Military Academy (now Rogers State College), the encampment facility was conceived as a field school that would introduce students to appropriate aspects of military life. After the facility was completed, however, the property passed almost immediately into private hands. Apparently the OMA only had options to by the property when the project was implemented and upon its completion the property owner did not honor the options. The administrative bungles, and considering the amount of money involved, caused the regional administrator of the WPA to loose his position. 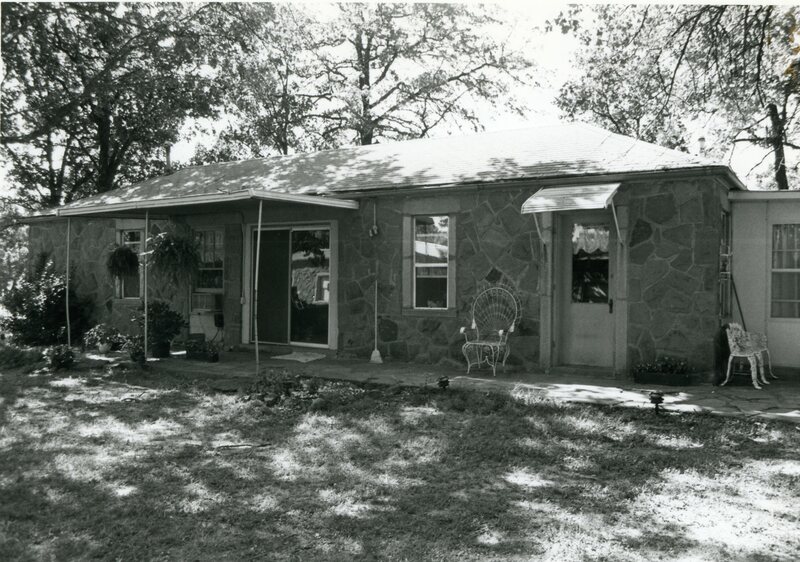 Of course, the encampment facility was a major economic resource to the Claremore area during the depression. 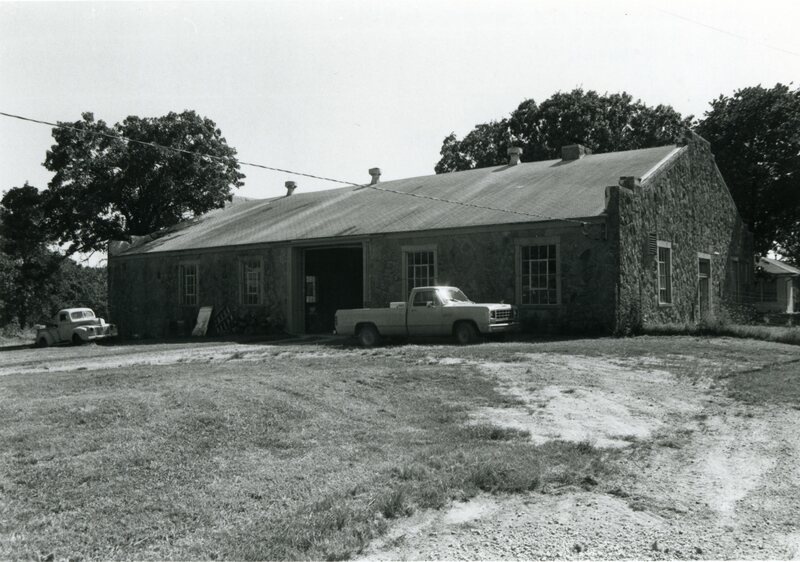 Construction of it provided job opportunities for workers long on the relief rolls, whose wages enabled them to provide for their families and infused a supply of money needed to preserve Claremore’s mainstreet. Architecturally the facility is notable for the extent of its vernacular style and quality of workmanship. VERBAL BOUNDARY DESCRIPTION: From Claremore go 4 miles south and .5 miles west to property site, which begins at a point 2288 feet east and 1454 feet south of the northwest corner of Sec. 5, T 20 N, R 15 E, and goes 416 feet east, 416 feet south, 416 feet west and 416 feet north. Field House and Auditorium – Public Buildings book. 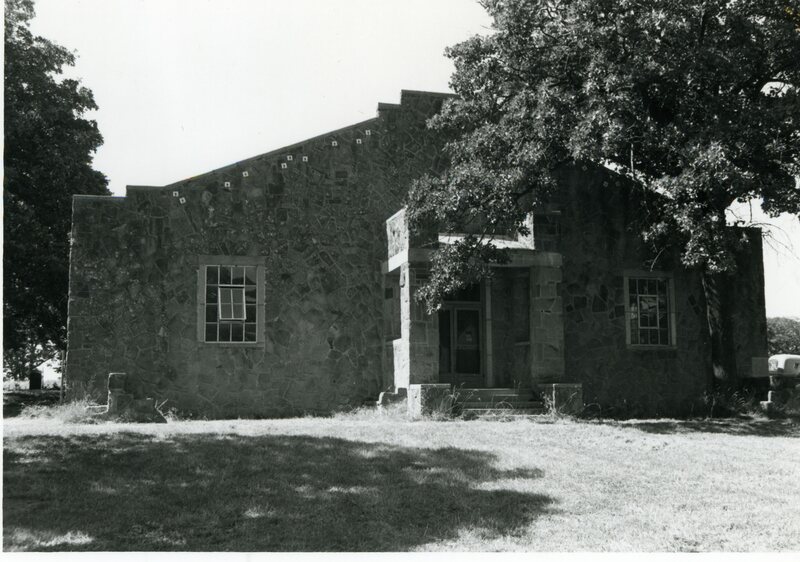 Paul B. Hatley, “Oklahoma Military Academy,” The Encyclopedia of Oklahoma History and Culture, www.okhistory.org (accessed June 09, 2018).